THESE ARE USUALLY MUSICAL BUT WE HAVE 2 LEFT THAT ARE NEW...THEY JUST DON'T PLAY THE MUSIC. SPECIAL PRICING WHILE THEY LAST! A classic American song comes to life in this musical board book. This popular baseball song was written in 1908 by Jack Norworth, who, ironically, wouldn't attend his first ball game until more than 30 years later. Throughout the years, fans would spontaneously break into song at games, and it soon became a favorite of the seventh-inning stretch sing-along. Now, this summertime tune can be heard simply by opening the cover of this sturdy board book. The song plays once each time the book is opened, and children and their parents will find themselves singing along. 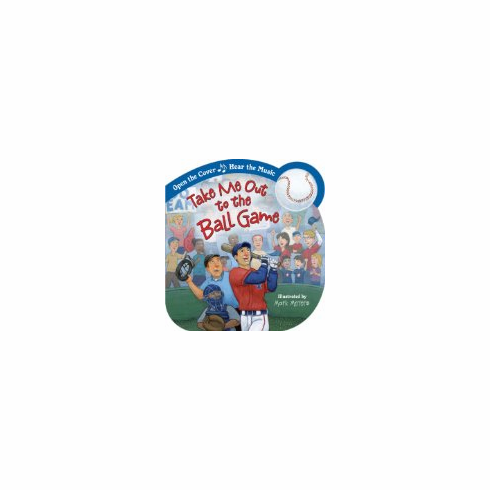 This delightfully illustrated book and tune will be a hit with young baseball fans across the country. Board book with music, 6.5" x 7", 16 pages, ages 2 to 5.